After a brief hiatus over the Summer, I could not be happier to be back in the kitchen and back to this ol' blog of mine! I took some time off while my husband and I relocated from living in Southern California back to Northern California. We are thrilled to get back to our roots and be closer to our families and friends. As someone who likes to cook, having to pack and unpack our kitchen was one of the hardest parts for me. We are finally (almost) unpacked, which means I can actually cook again! I found myself looking for easy, healthy and comforting meals which lead me to come up with this incredibly tasty one sheet pan meal. 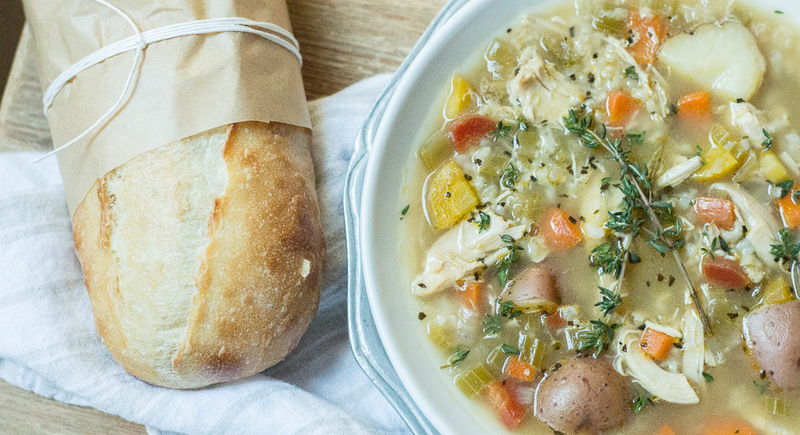 It is perfect for the upcoming Fall season, an easy weeknight meal, and it also makes for amazing leftovers to have throughout the week. I am so excited that I can finally grow a mini herb garden since our new kitchen gets a lot of great natural light. 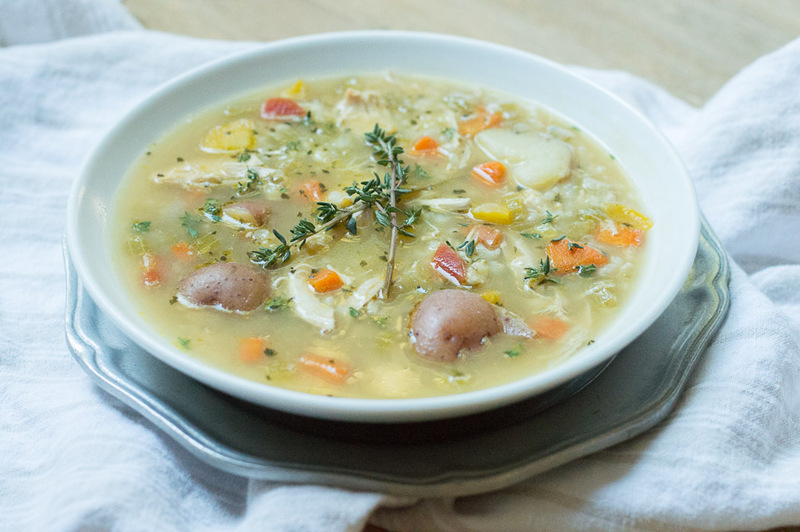 I used our homegrown herbs, mixed with farmers market vegetables and chicken. With minimal prep work involved, dinner practically made itself. I used a combination of all of the vegetables we had on hand: carrots, mini tomatoes, broccoli, bell peppers, red potatoes, mushrooms and red onion. 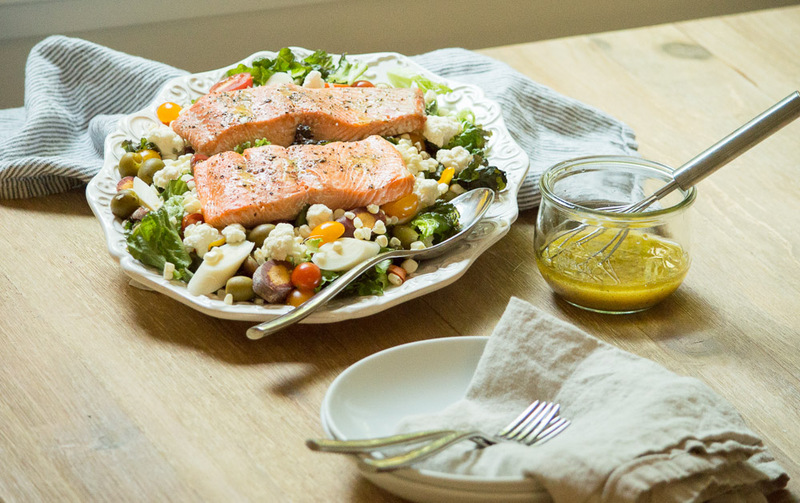 You could certainly use any and all vegetables for this dish! When I first tested out the recipe, there was not enough flavor, so the second time around I added cumin and paprika. Those two spices helped to elevate the flavors without being overpowering. I also used a mix of fresh and dried herbs. 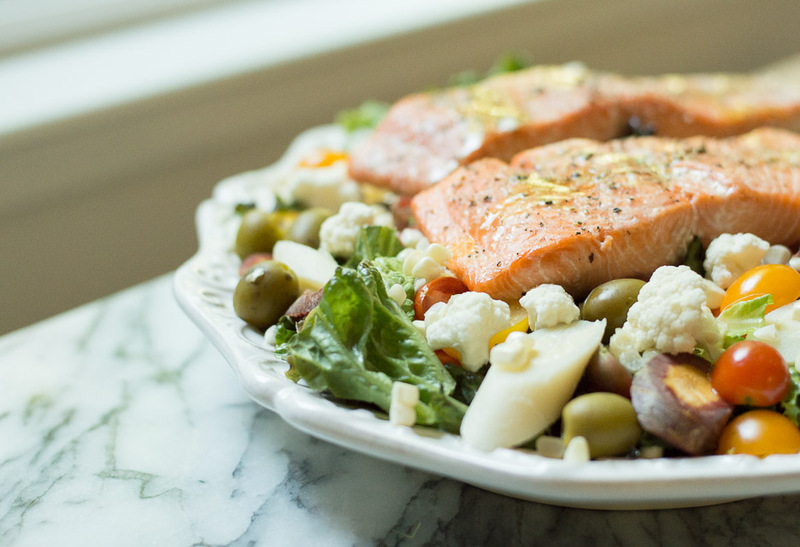 This dish makes the kitchen smell amazing when it's cooking! 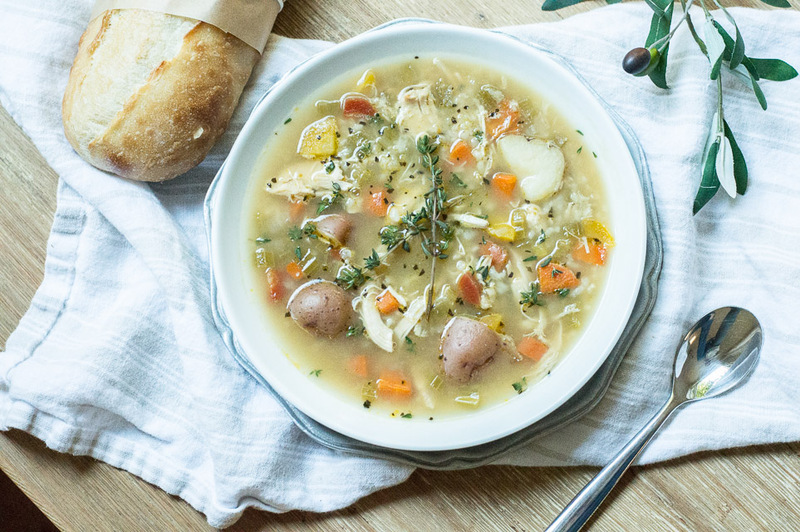 What you end up with is a healthy and comforting meal all in one. Since I added potatoes to ours, we didn't feel a need to serve it over rice but you could definitely serve it over rice or your favorite starch. It is also really yummy served on top of a salad. 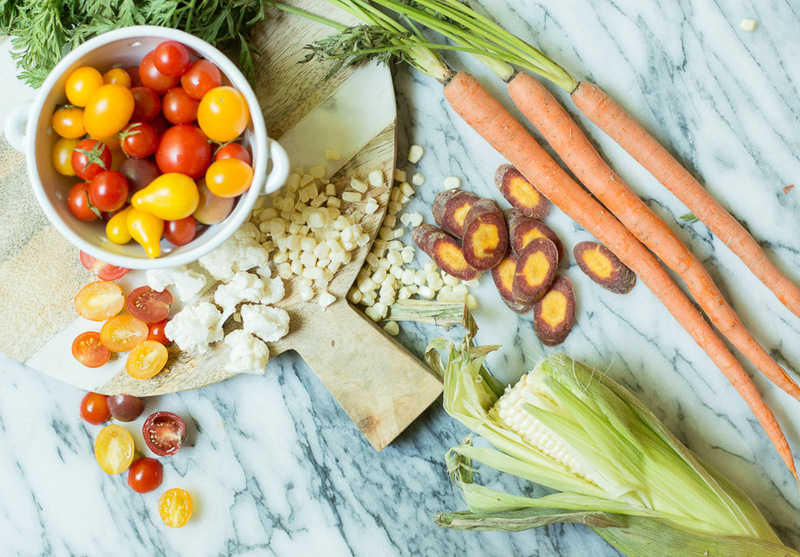 Chop all of the veggies into large pieces. On a separate cutting board, chop up the chicken into cubes. In a bowl, combine the veggies, garlic. Add in the chopped chicken and coat the mixture with the oil, salt and pepper. Pour the spice mixture over the chicken and veggie mixture. Coat evenly. Place the mixture onto the sheet pan and top with sprigs of fresh thyme. Bake for 15-25 minutes depending on your oven, until the veggies are charred and the chicken has cooked through. Add additional salt and pepper to taste. Serve and enjoy! We have been doing a lot of traveling and also hosting house guests this Summer, all of which I love, but there is nothing like coming home to my kitchen. I always feel like I need to find my balance after a vacation, which usually consists of sleeping in my own bed, going for a long walk and cooking. After returning home from vacation this past weekend, I found myself getting reinspired in the kitchen. We received a bag of tomatillo's in our weekly Farm Fresh to You shipment, and I was dying to try homemade roasted tomatillo salsa! I love how the husks are so delicate, yet so protective of the tomatillo. I had never cooked with them before and was surprised to find that when you peel them back, the tomatillo's have a nice green color and the husks are sticky on the inside. 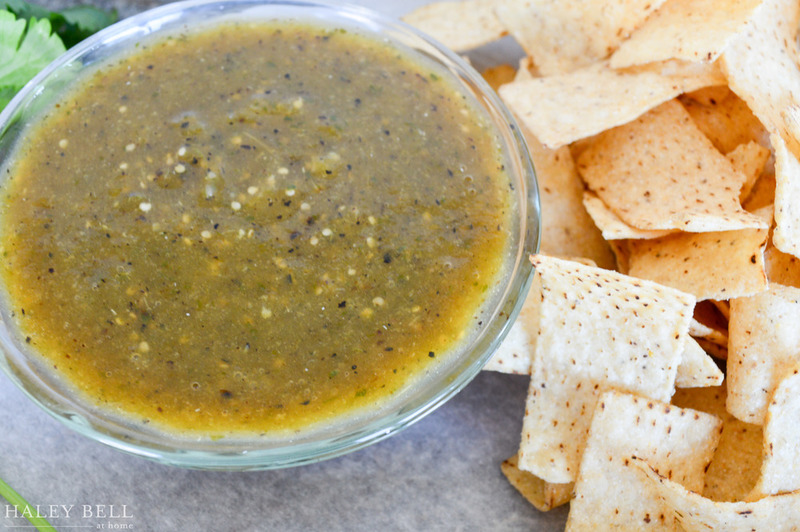 I refer to this tomatillo salsa as the "windex" condiment since it can go on nearly everything! I have always been a fan of the store bought Trader Joe's salsa verde mainly because it has great flavor so I wanted to replicate those flavors while cleaning up the ingredients. Besides the fact that this salsa can pretty much go on anything, it is incredibly simple to make! I roasted the tomatillo's and the peppers on a sheet tray under the broiler to give it that nice color and great depth of flavor. 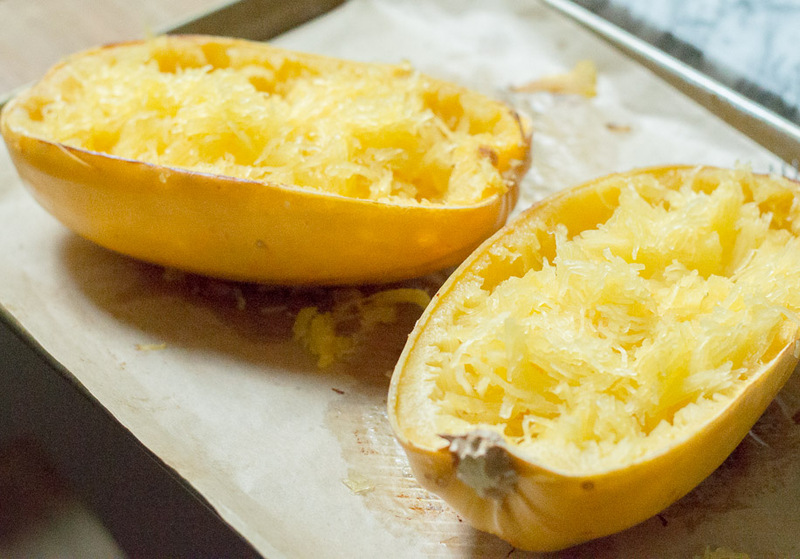 Once you remove them from the oven, you place all (four) of the ingredients into a blender and let it work its magic. You'll find that the final product is smooth with the perfect balance of flavors. The best part about making your own salsa, is that you can control the heat and sodium. My husband and I are total wimps when it comes to spicy foods, so I removed most of the seeds from the pepper before I put it in the blender for a more mild heat. However, if heat is your thing, the seeds add a nice kick. If you can help yourself from going straight for the chip dunk (clearly I could barely resist), this salsa is amazing on everything from eggs for breakfast, my quinoa fajita bowls, fish taco's, salads, enchilada's and the list goes on. 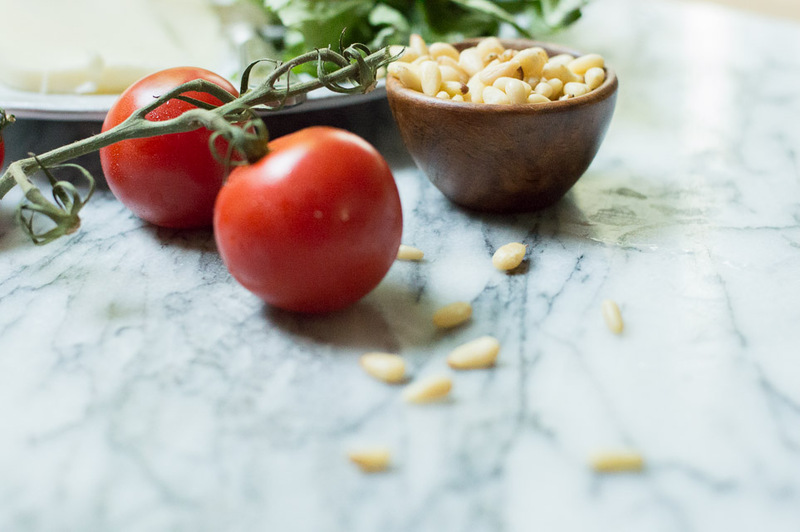 This versatile salsa is definitely a must try! 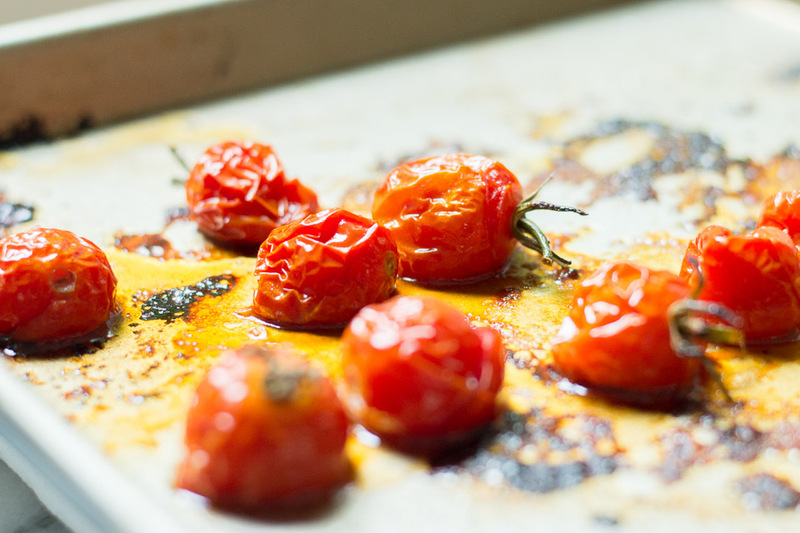 Place the tomatillos and peppers on a greased baking sheet lined with tinfoil under the broiler until darkly roasted, even blackened in spots, about 5 minutes. Flip them over and roast the other side, an additional 5 minutes until blackened and blistered. In a blender of food processor, combine the tomatillos and peppers, including the juices from cooking. Add the cilantro and 1/4 cup of water and a pinch of salt. Blend to a course puree and pour into a serving dish. Add the chopped onion (optional) and stir into salsa and season with salt (about a 1/4 teaspoon).